Hi my dears! Sorry I haven't been here. Summer was cruel, but now everything's cool. and Elsa Lanchester at The Tomb of Ligeia premiere. Read all about it in Famous Monsters of Filmland issue 33 here. 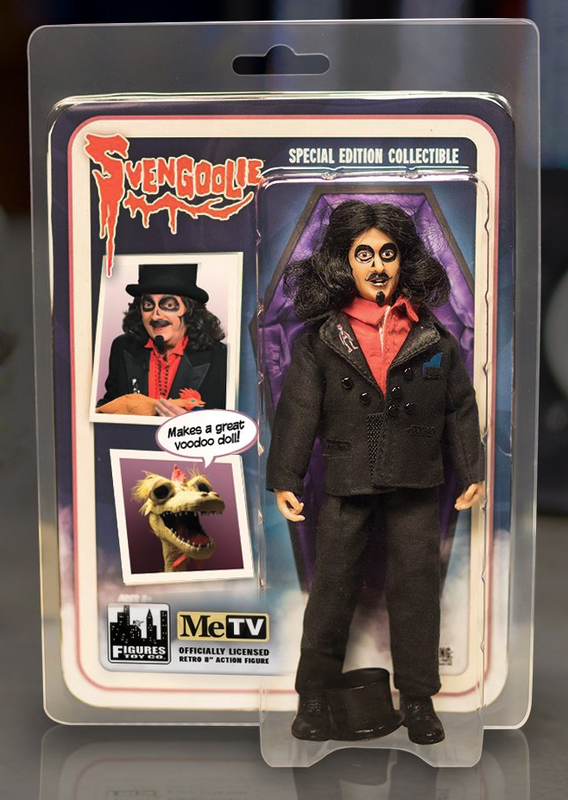 Speaking of horror hosts, I got a Svengoolie figure! How awesome about the book mention! And Elsa Lanchester looks so cute in the top photo! 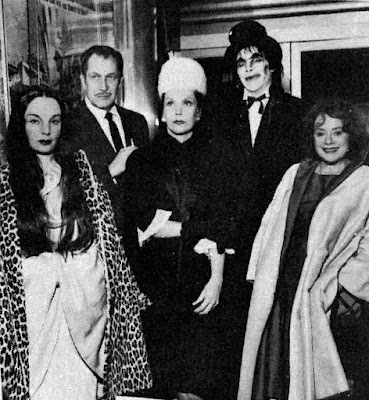 Cool to know Vincent Price and Elsa Lanchester were hanging out! Welcome back, Holly. It's good hearing from you again. And yes, I would enjoy hanging out with Vampira and her ghoulish friends for awhile. happy to see you again! welcome! 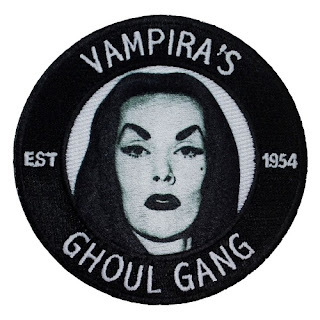 Thanks my ghoul friends! Missed you all!